1,2-Octanediol,Ethylhexylglycerin,Sodium Pyrithione,Caprylyl Glycol and More Chemical Supply by Zhufeng,an ISO certified supplier.Our company establishes cooperation with several famous professors, has a group of experienced experts and researchers focus on products development and improvement. We understand what customer need and try our best to satisfy custome's need.100% on-time shipment protection! 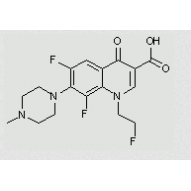 ZPT is a superordinary anti-scale agent and anti-lipid overflow agent. It can effectively eliminate eumycete which produces dandruff, and result in relieving itching, removing dandruff, diminishing phalacrosis and deferring poliosis. 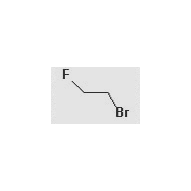 Therefore, ZPT is widely used in the production of shampoo. 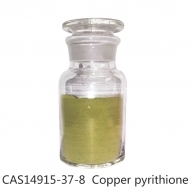 Copper Pyrithione (CAS：14915-37-8) is a highly effective, broad spectrum biocide used to control bacteria, algae, and fungi. It is mainly used in anti-fouling marine paint, building coating, metal processing and pesticide fields. CuPT have tremendous potential and broad space in various fields with properties of high-efficiency, hypotoxicity and broad-spectrum. 2-Mercaptopyridine-N-oxide can be widely used in the preparation of various pyrithione derivatives. Broad spectrum, pharmaceutical intermediate, mildewcide for transparent plastic, cosmetic additive, photosensitive material additive, pesticide intermediate and deodorant.